This Allied campaign follows the “Outlaws” of B company, 1st battalion of the 506th PIR. It starts with the forming up of the Outlaws after their scattered dropzones, while 3rd platoon spends the morning attempting to link up with the rest of the company. The Outlaws are tasked with silencing artillery guns firing on the beach, and pushing inland with the aid of the 8th infantry and the 741st tank battalion in this branching campaign. 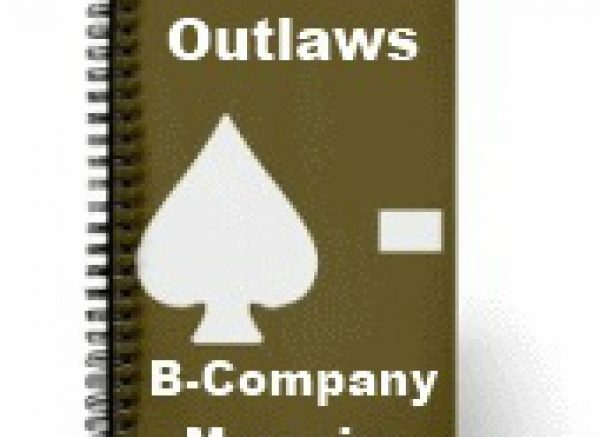 1 Comment on "The Outlaws"
Just started this…looking for fun US AB campaign similar to Devils Descent. Just finished first scenario to capture train station. Very tough little scenario…at least for me. Requires a bit of patience to let your units straggle in. Then use fire and maneuver to achieve objectives. Took a few too many casualties so only got a tactical victory. Very good start…looking forward to remainder of campaign.